Heat sufficient oil of deep fry. Dip each floret in the batter and drop them into the oil. Fry until golden color. Remove and place them on an absorbent paper. Now heat 2 table spoons of oil in a pan. Add shahi jeera and bay leaf. 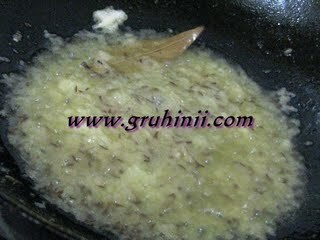 When jeera starts spluttering add 1 tbsp ginger garlic paste. Stir fry and add onion paste. Fry in a medium flame until the paste turns to pink color. 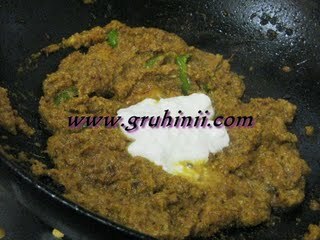 Now add chopped green chillies, sugar, 1 tea spoon red chilli powder and haldi to it. Stir fry and add 4 cups of water to it. Add salt to taste and boil for 8 to 10 mins. 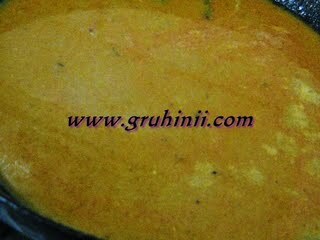 When the gravy reduces and starts thickening switch off the flame and take it into a bowl. 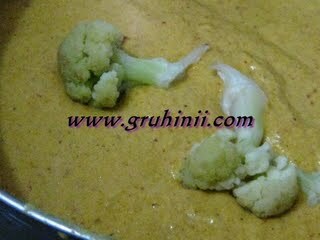 Now add the cauliflower pakodas to it. Garnish with chopped fresh mint and coriander leaves. 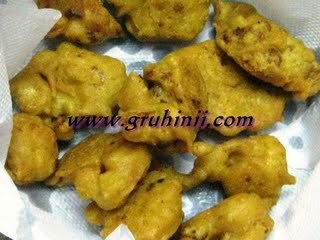 Serve within 10 to 15 mins after adding the pakoras. Tip: You can prepare the pakoras and the gravy separately in advance. 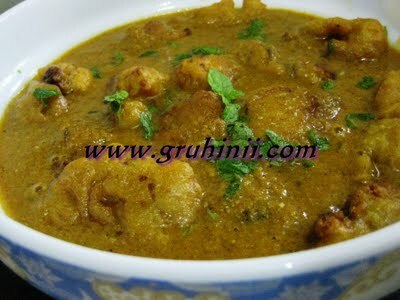 Just warm the gravy and add the pakoras before serving.